According to Sue Malthouse, managing director at Artisan Fireplace Design, the best retailer-manufacturer relationships are the ones that work both ways. With Europe’s largest fireplace showroom boasting more than 550 displays in an old silk mill in Brighouse, Artisan Fireplace Design has been heating Yorkshire’s homes for more than 30 years. 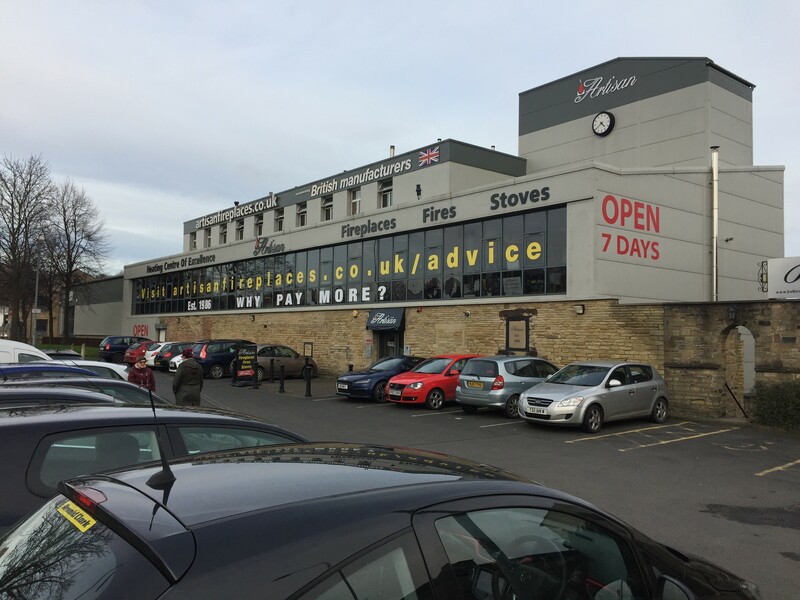 The impressive showroom is set over three floors, showcasing a wide range of electric, gas and solid fuel stoves and fires, plus accessories. With something for every home, much of its success is down to the service delivered to customers, and a reputation forged over more than three decades. Customer relationships are vital, of course, but they are not the only important relationships built by the retailer. Managing director Sue Malthouse says links with manufacturers such as Dimplex have been critical to its continued success. Artisan Fireplace Design Ltd is one of a select group of Dimplex Premier Retailers, taking advantage of enhanced support from the leading electric fires brand that spans website, social media, point of sale (POS) and other marketing activities. The scheme, which offers priority listing on Dimplex’s website and an individual page for all participating retailers, recognises the showroom support given by retailers, who must display a total of seven Dimplex fires across the Opti-myst and Optiflame ranges to be included. Sue Malthouse says it is just one of the ways in which the retailer and manufacturer can benefit from mutual support, to benefit both brands. She said: “We have a whole floor dedicated to electric appliances only and this includes up to 40 Dimplex products on display. We are delighted to display and support the Dimplex brand, with most of the range on display including the Opti-myst cassette 1000, Opti-myst chassis 600 and the large landscape Opti-V PGF20 as an entrance feature. “Of course the marketing and website support we get as part of the Dimplex Premier Retailer scheme is a benefit to us, but like any good partnership, it works well because we offer mutual support. “We’ve seen the way in which Dimplex actively promotes products across its social media channels and we’ve been able to engage with this on our own Facebook and Twitter pages to our advantage. We regularly promote the products in regional TV campaigns and in quality newspapers and we’ve also put significant investment into the showroom to show off the products to their very best - even designing bespoke fireplaces to house the fires. Part of the success of any retailer, of course, is being able to identify changes in customer demand – and deliver the products needed to meet those changing demands. Sue Malthouse adds that Dimplex’s commitment to new product development, supported by the manufacturer’s own in-house research and development and product design facilities, has been another benefit over the course of many years. She adds: “Dimplex is always once step ahead with its new effects, incomparable from others, hence the runaway success of their whole range. Mike James, sales director, independent retail from Dimplex, said: “The Premier Retailer scheme was set up to recognise and reward those retailers who support the Dimplex brand, giving something back to help those retailers drive footfall and encourage sales. “The website support is particularly valuable because of the numbers we are able to generate thanks to significant marketing investment, including national advertising. This year’s vibrant national press advertising campaign for the Opti-myst 3D electric flame and smoke effect, for example, reached an estimated 9.5 million consumers and we had more than 3.7 million page views on the Dimplex fires website as a result of last year’s campaign.